It might seem odd for an author who has built his reputation in the area of crime and noir fiction to turn his hand to romance, but it’s happened. As a crime writer, my work has appeared in 2 volumes of Mammoth’s Best British Crime collections. I’ve been in anthologies alongside the likes of George Pelecanos (of The Wire) and Kate Atkinson and my novella ‘Smoke’, published by Blasted Heath, has the rubber stamp of Ian Rankin on the cover. After such successes, a warm and cosy story may not have seemed on the cards. 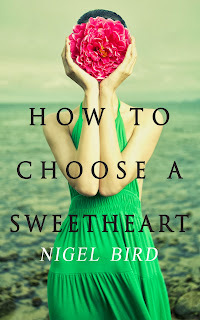 The truth is that ‘How To Choose A Sweetheart’ was conceived and written about 20 years ago now, so the romance actually came first. At the time of the idea, my life was in one of its lower points of the cycle. My marriage had broken down and I’d found solace in the bookies. Betting on horses was practically all I did when I wasn’t teaching and so I certainly didn’t sparkle in conversation. I didn’t really notice just how boring I’d become until a young lady walked into my life and bowled me over. It was one of those bolts-from-the blue that happens from time-to-time and it came when I least expected it. As fate would have it, we were drawn together for a wonderful evening one summer and spent our time chatting on a balcony in Hampstead. It was a little more up-market than I was used to and I kind of liked it that way. The only problem was I had nothing to say. What had won the 4:30 at Epsom didn’t seem at all important all of a sudden. The sad thing for me is that we didn’t click. It might be that I just couldn’t shake off the rust from my conversation skills in time. It did the job for me though. Shook me out of my despair. Not long after that, I was on my way to place my bets and decided to go into an Indian restaurant instead. I was the only one there and it was super-embarrassing, but I had something to show for my money and quite enjoyed that feeling. The idea for ‘Sweetheart’ came to me a couple of days later when I was repainting my flat (repainting things has often be a way of trying to freshen life up and so there have been many shades on my walls over the years). Imagine a single parent advertising for a piano-teacher for her child and for a young man to take up the position in order to meet the mum even though he couldn’t play a note. I bought myself an electric typewriter and started bashing at the keys. It was all I did for months. In my mind, I thought I was writing a script that would allow me to move out of the classroom and to be writing successful romantic-comedy movies of the kind they made before colour film was in use. I had stars like James Stewart and Veronica Lake in mind as I typed and visions of becoming a new Woody Allen. When the final dot was put on my screenplay, I handed it over to a friend of mine who was working his way up in the film-making world. I’m not sure whether he hated it or was just very careless, but he told me he’d lost it and that was as far as I ever got with it. ‘Sweetheart’ has been niggling away at me ever since. I’ve tried to block it out, but it’s kept calling and I eventually decided to listen earlier this year. Taking the script I’d written and turning it into a novel was no easy job. Thankfully, I’ve improved as a writer since my first effort and was able to spot some of my flaws. I actually think I managed to do the concept justice and believe I’ve put out something that has what a romantic comedy is supposed to have – romance and comedy. 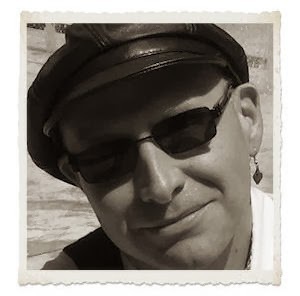 It reminds me that I started out as a writer rather than as someone looking to focus on a particular genre. That desire to tell stories, not matter what type they might be, has never left me. I hope that this book will offer readers a number of things - a cracking read; an entertaining time; some laughs; some tears; a dose of escapism; and, above all, a little hope. A recent review of the book suggested that it had the feel of the film ‘Notting Hill’. Given the fact that I’d conceived this as a movie in the first place, you can imagine how much that comment meant to me. If it’s half as wonderful as ‘Notting Hill’ I can feel satisfied. I’ve enjoyed working on this story so much that I may just put my mind to another romance if my muse allows. Should you ever get around to reading ‘Sweetheart’, I’d love to hear from you whether you enjoyed it or not, so please let me know. I look forward to hearing from you.